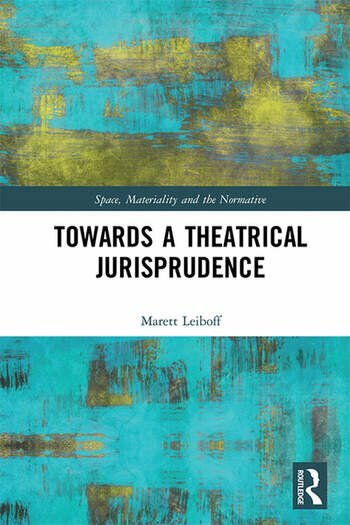 This book brings the insights of theatre theory to law, legal interpretation and the jurisprudential to reshape law as a practice of response and responsibility. Confronting a Baconian antitheatrical legality embedded in its jurisprudences and interpretative practices, the book turns to theatre theory and practice to ground a theatrical jurisprudence, taking its cues from Han-Thies Lehmann’s conception of the post-dramatic theatre and the early work of theatre visionary Jerzy Grotowski. It asks law to move beyond an imagined ideal grounded in Aristotelian drama and tragedy, and turns to the formation of the legal interpreter - lawyer, judge, jurisprudent - as fundamental to understanding what’s ‘noticed’ or not noticed in law. We ‘notice’ most easily through that which is written into the body of the legal interpreter, in a way that can’t be replicated through law’s standard practices of thinking and reasoning. Without more, thinking and reasoning are the epitome of antitheatricality legality; a set of theatrical antonyms, including transgression and instinct, offer instead a set of possibilities through which to reconceive assumptions and foundational concepts etched into the legal imaginary. And by turning to the critical dramaturgy, the book reveals that the liveliness that sits behind theatrical jurisprudence isn’t a new concept in law at all, but has a long pedigree and lineage that had been lost and hidden. Theatrical jurisprudence, which demands an awareness of self and beyond self, grounds a responsiveness that can’t be found within doctrine, principle, or the technocratic, but also challenges us to notice what it is we think we know as well as what we know of lives that aren’t our own. The book will be of interest to scholars and students in the field of jurisprudence, legal theory, theatre and performance studies, cultural studies and philosophy.